In the first installment of Benefits of Cloud QMS in a GxP environment, we discussed some overarching benefits to cloud QMS in a GxP environment. In this second part, we continue our interview with Bruce Kratz and Jon Ragati, homing in on FDA requirements, making the transition to cloud QMS, and the long-term outlook. Q: Does cloud technology meet FDA requirements when it comes to QMS system validation requirements? We suggest that your decision to validate computerized systems, and the extent of the validation, take into account the impact the systems have on your ability to meet predicate rule requirements. You should also consider the impact those systems might have on the accuracy, reliability, integrity, availability, and authenticity of required records and signatures…We recommend that you base your approach on a justified and documented risk assessment and a determination of the potential of the system to affect product quality and safety, and record integrity. If, after reading that section of the guidance, you are left with more questions than answers, you are not alone! Keep in mind, this validation guidance was last updated in 2003, well before the cloud revolution. The resulting gray area leaves many questions unanswered on the use of cloud systems for regulated workloads and how they should be validated. FDA was expected to publish additional guidance on the use of cloud, but that guidance has not been released to date. For purposes of this guidance, FDA considers software validation to be confirmation by examination and provision of objective evidence that software specifications conform to user needs and intended uses, and that the particular requirements implemented through software can be consistently fulfilled. In absence of direct guidance from FDA (or other regulatory bodies) on the use of cloud computing platforms, companies and vendors should concentrate on meeting the stated requirements, not trying to retrofit the same process that was used for on-premise software if it does not make sense. Q: What are the possible long-term benefits of transitioning quality management software into the cloud? BK: The pharmaceutical industry faces complex challenges resulting from regulatory scrutiny, mergers and acquisitions, parent expirations, and countless cost-cutting requirements. Manufacturers, contract research organizations and virtual companies all require robust information management systems to stay competitive and foster growth in the highly volatile global marketplace. Transitioning quality management systems (QMS) and other critical systems to the cloud has long-term benefits if properly implemented. Times are changing. Manufacturing that used to be done primarily inside has been moved to outsourced relationships, the collaboration between disparate quality systems that can be enabled by cloud technologies can increase quality and compliance. By moving to the cloud, manufacturers and suppliers have the ability to connect, interact and integrate on unprecedented levels. This increased cooperation and collaboration is fueling the emergence of a virtual network where small and large manufacturers alike can look beyond their four walls to create more powerful and more efficient means of ensuring product quality and safety. Enhanced connectivity allows internal quality management processes to unite with quality ecosystem partners, expanding quality beyond the four walls of the manufacturers. Integrating cloud-based systems used by suppliers, contract manufacturers and distributors let’s manufacturers connect with these key stakeholders quicker and more directly. With this increased communication, pharmaceutical manufacturers can respond to risks earlier. Whenever a product or safety risk is identified, all involved stakeholders can start investigations and act faster to prevent product safety risks from impacting consumers. Ultimately, this drastically lowers the risk of recalls. Companies can avoid the costly financial repercussions of a recall, while preserving investor confidence and consumer trust. Greater visibility and transparency is made possible by connecting various cloud-based systems, which leads to safer products. Q: What can we expect in the future? BK: While companies were hesitant in the past to adopt cloud-based solutions, current technologies keep data safe and systems validated. In many cases, security and compliance to validation can be increased by using modern automation techniques. Automation will revolutionize the validation process—what used to take months can be accomplished in days, if not minutes. Cloud monitoring tools are also being deployed and are on the lookout for small changes to the infrastructure that again can be flagged to reduce risk. The culmination of these technologies can automatically validate any updates or changes to cloud-based solutions, providing life sciences companies with the confidence of compliance with FDA and can ensure properly working systems. 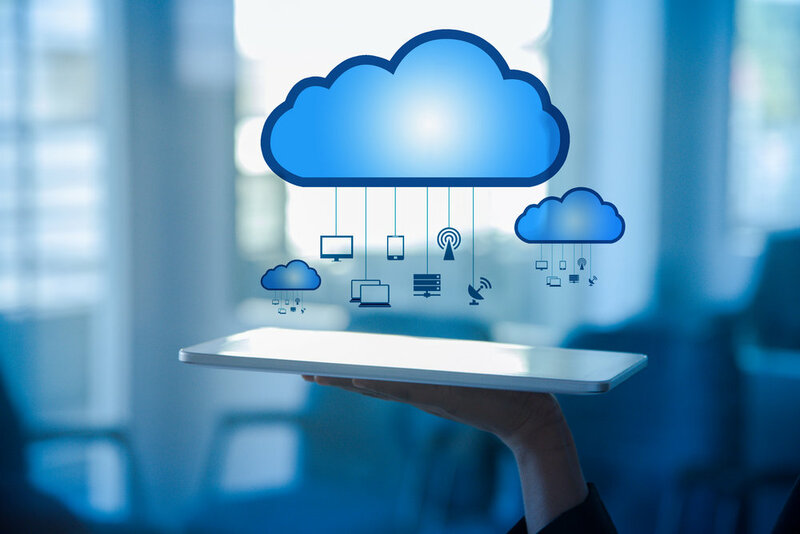 Migrating systems to the cloud dramatically increases connectivity with key players across the quality ecosystem and helps all stakeholders work more collaboratively to create safer pharmaceuticals. To learn more about validation approaches to cloud-based technology, download this eBook. Bruce Kratz is the VP of Product Development at Sparta Systems where he is responsible for all Research & Development activities. Mr. Kratz has a successful track record of leading enterprise software teams and has close to 25 years of product development experience. Prior to Sparta Systems, Mr. Kratz was the Director of Development at IBM where he was responsible for product business plans for a portfolio of over 300 IBM Data Governance products.